small as we consider your chimney or fireplace our priority. The firebox of your fireplace takes a lot of heat and abuse. are eroded back more than 1/2 inch it may be time for a repair. 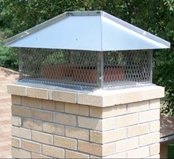 The mortar crown is the concrete-like surface at the top of your chimney. Its job is to shed water away from the flue and also keep water from entering the chimney chase. 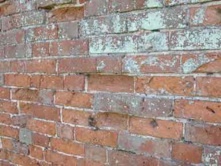 Cracks or missing pieces in the mortar crown can lead to extensive water damage in your chimney. Mortar crowns may be repaired with traditional masonry products or a specialized waterproof product called Crown Seal. problem your chimney and fireplace may have. A properly functioning damper stops heat from escaping up your chimney when the fireplace is not in use. If your fireplace does not have a damper you are pumping money up your chimney. Give us a call! We offer top sealing dampers, and damper cap combinations.